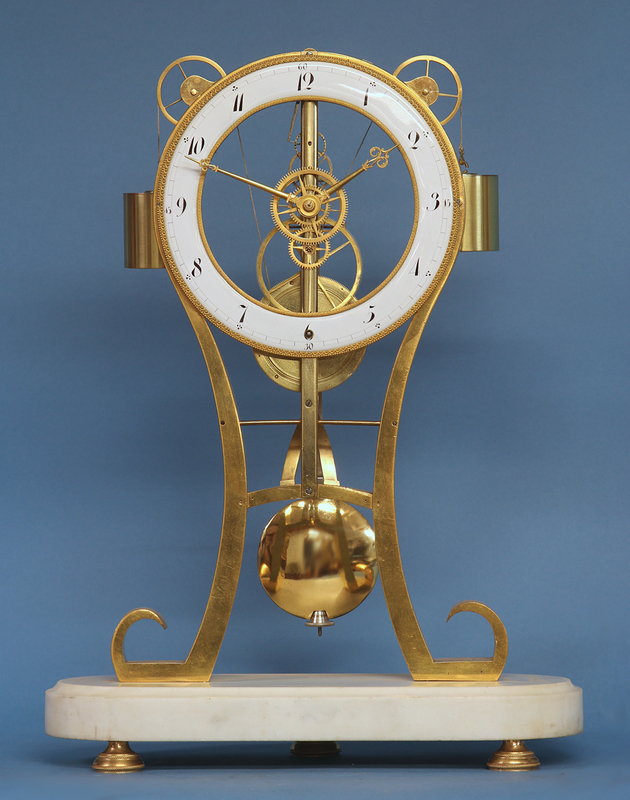 The finely lettered white porcelain chapter ring dial has inner and outer cast ormolu bezels, cast ormolu hands, black Arabic numbers for the hours and Arabic 15-minute marks. 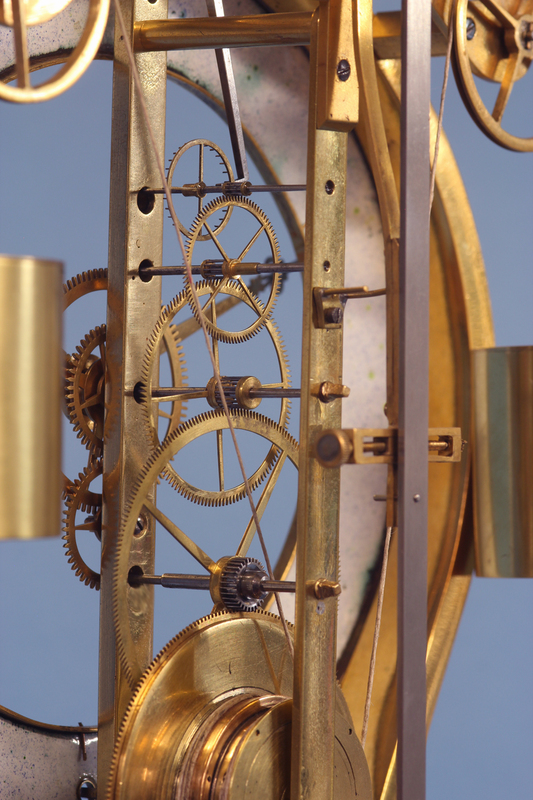 The shaped ormolu frame supports the two thin vertical movement plates. 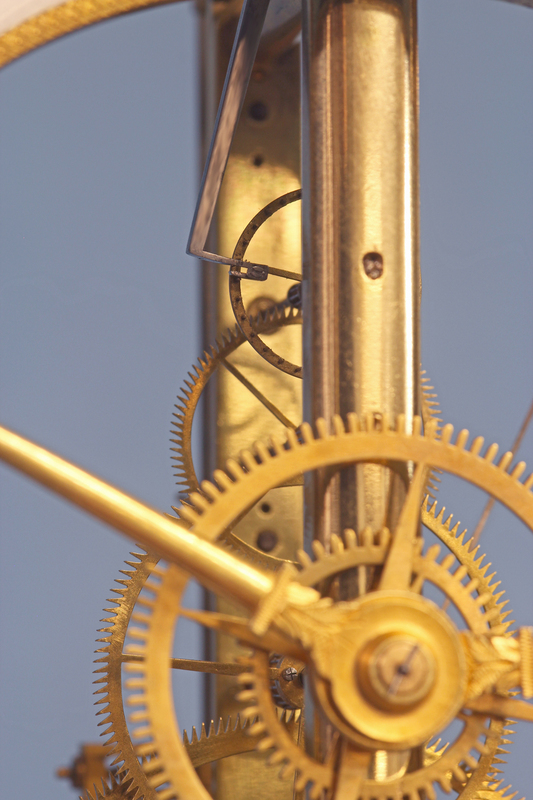 The particularly finely cut vertically oriented gear work incorporates wolf tooth teeth, lantern pinions, double weights, and a single armed pinwheel escapement. 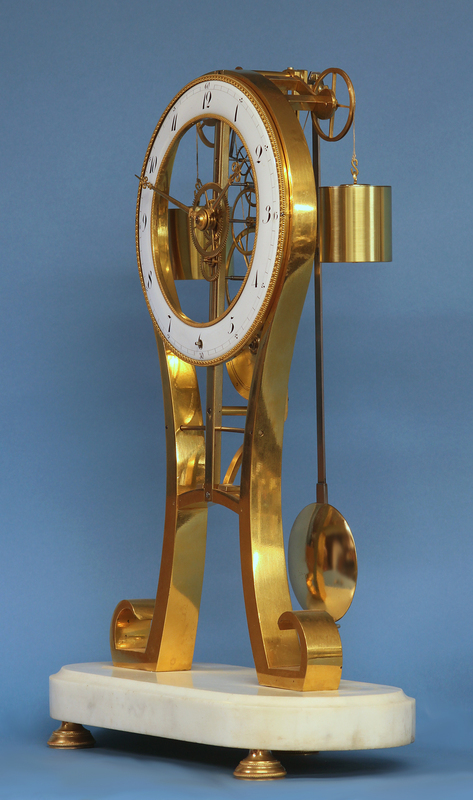 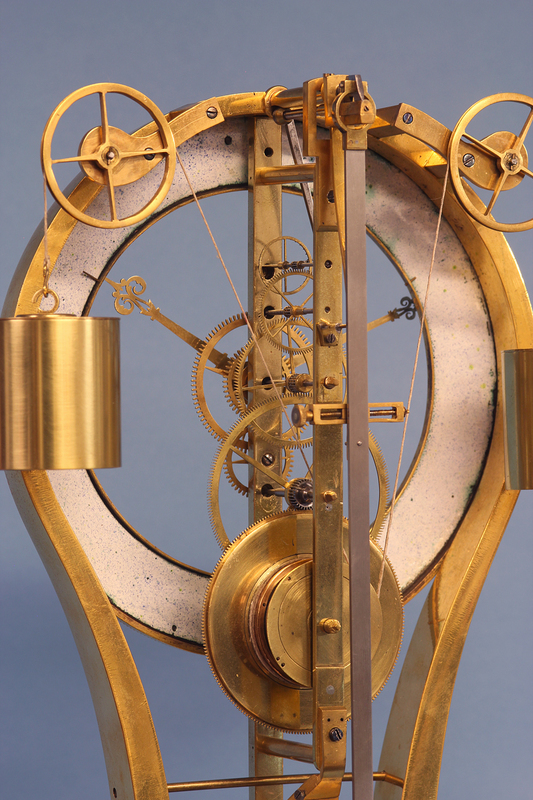 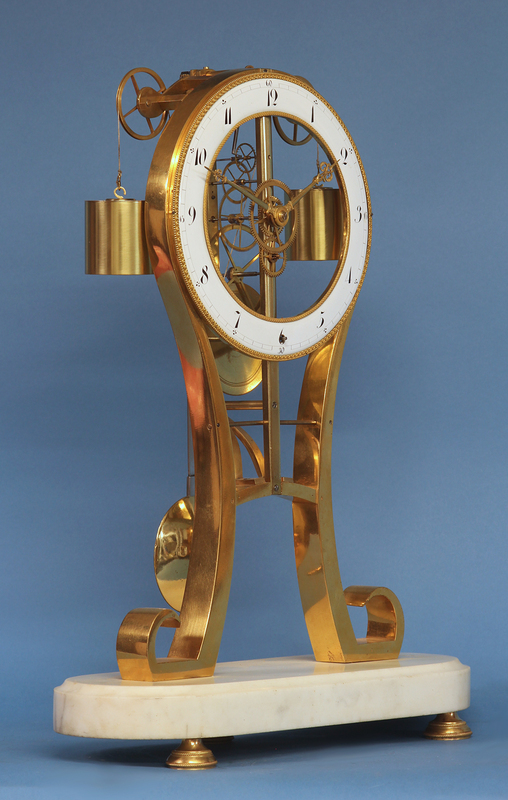 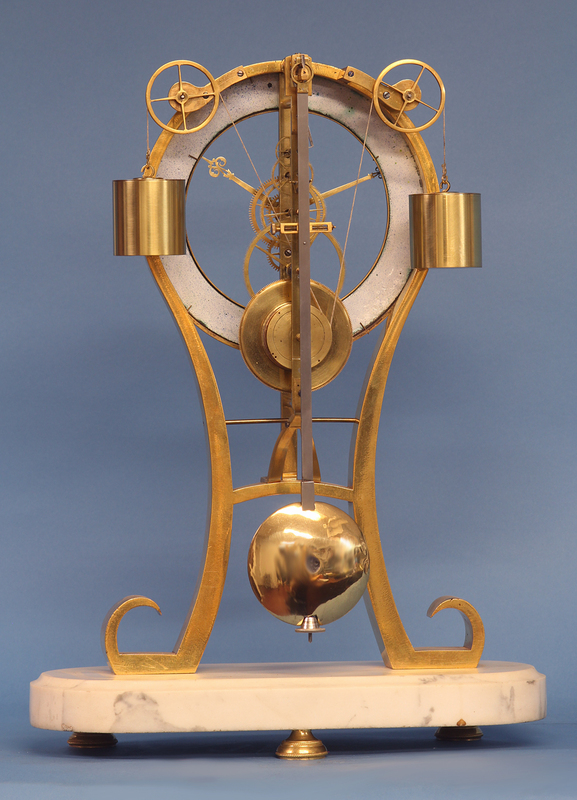 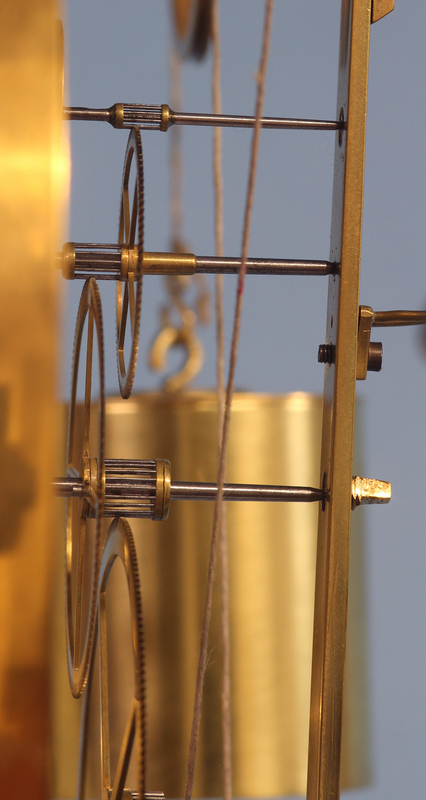 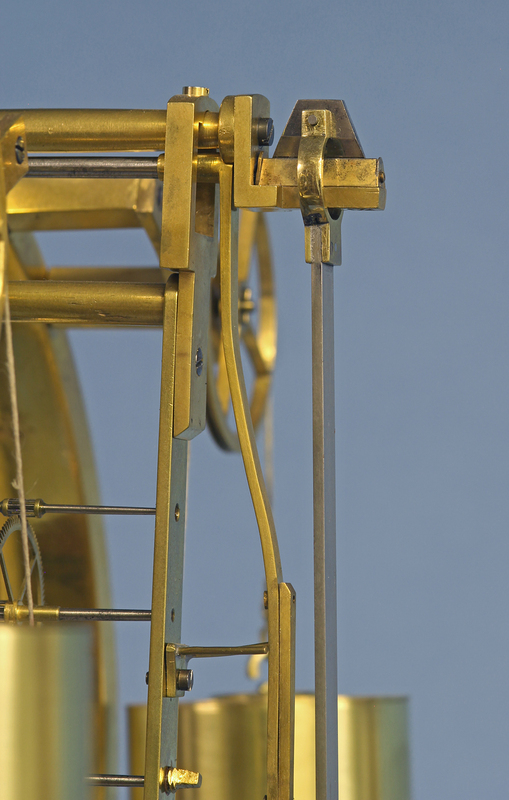 The pendulum has a steel rod, brass lenticular bob, screwed beat adjustment and knife-edge escapement.